♢One moment please: Base Rewarding Moments points will show up in your account within 48 hours of order shipment or in-store pick up. Bonus points, if applicable, may be awarded separately within 72 hours of order shipment or in-store pick up. FREE SHIPPING:Free standard U.S. shipping on Carter's, OshKosh B'gosh and Skip Hop online orders of $35 or more. 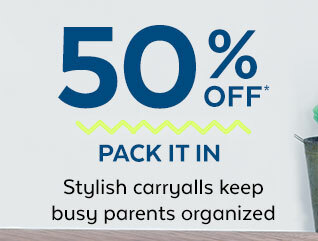 No code required at checkout on carters.com, oshkosh.com, or skiphop.com. Offer valid through March 10, 2019. Valid on only one shipping address per order. Promotion not valid on purchase of gift cards, express shipping or for shipments to U.S. P.O. boxes or U.S. Territories. Prices, promotions and selections may differ from those in our retail stores. Promotion not valid in retail stores. Not valid for cash. No adjustments on previous purchases. We reserve the right to change or cancel this promotion at any time. Fun Cash can be redeemed in store or online between March 5-18, 2019. Fun Cash vouchers will be emailed to the email address supplied at checkout. Minimum purchase thresholds to redeem Fun Cash apply. Discount taken after all other non-coupon discounts and rewards applied. Not combinable with any other coupon or discount code. Discount not applied toward (a) purchases of gift cards; (b) amounts spent on purchases which occur outside the eligible redeem time period; (c) any applicable costs of packaging, shipping & handling, or taxes. Limit one Fun Cash voucher redeemed up to a maximum of $60 per transaction. If the amount of a purchase is less than the threshold to use the full value of a voucher, any unused balance of the Fun Cash voucher will be forfeited. Employees not eligible to earn or redeem Fun Cash. Please see full terms and conditions at skiphop.com/funcash. Rewards are not legal tender and will expire on the expiration date listed on the certificate. No cash back. Rewards can be earned and redeemed for merchandise only at Carter's and OshKosh B'gosh owned and operated stores in the U.S, and Puerto Rico, and at carters.com, oshkosh.com and skiphop.com. Carter's reserves the right to modify or discontinue this offer at any time. Void where prohibited. *Exclusions apply. See Terms & Conditions for details. 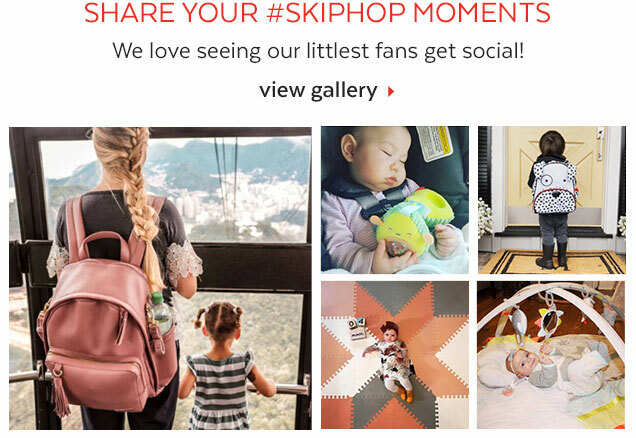 Sign up for Skiphop's emails. To unsubscribe from our email list, just click here. To manage your email preferences, click here. Last Day! Up to 50% OFF Everything + FREE Shipping! Spring It On! Up to 50% OFF Entire Site! Celebrate Unicorn Day! 30% OFF! TRIPLE POINTS + FREE SHIPPING!